Mile after mile Men's Nike Dry Element Running Top delivers sweat-wicking comfort through Nike Dry fabric. 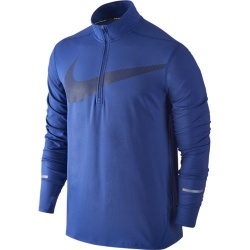 It's packed with reflective details to enhance low-light visibility on early morning and evening runs. Flat seams move smoothly against the skin. 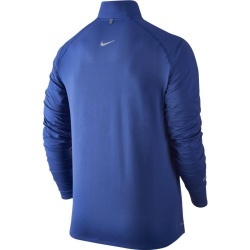 Reflective Swoosh design trademark is screen printed on the chest. 1/2 zip design for easy on and off.